Talks of a Joshua vs Wilder fight taking place in 2018 continue to gather pace but the stadium venue remains an issue. Getting the fight done with all parties happy on financial terms is also an obstacle too of course. 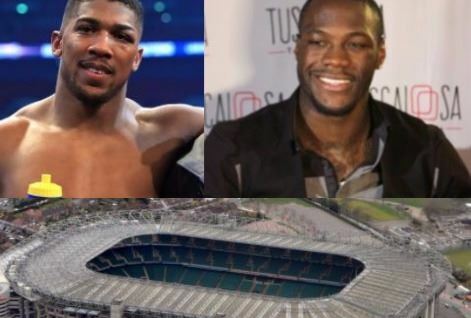 But if the fight was to take place in the UK, the general consensus are that it would need to take place in a massive stadium to satisfy fan demand and justify the bout being staged in the UK, with wranglings existing in some quarters from the Wilder side who wish to stage the contest in the US. Wembley Stadium and the Millennium Stadium are the two major outdoor arenas that have hosted boxing shows in recent times but it appears one of them might be a problem to get for a Deontay Wilder fight in 2018. For those not familiar with Twickenham, it acts as the national stadium for the England rugby team who have played at the ground for decades. An iconic venue that has played host to many memorable international rugby games and events over the years. It has an official capacity of 82,000 seats, too, making it the second biggest stadium in the UK in terms of capacity size after Wembley. A boxing match has never been staged there but by the looks of things it could be in contention for one come next year.